Today I have two major pieces of news to announce and a special favor to ask all of my friends. Let me begin by giving you the news. 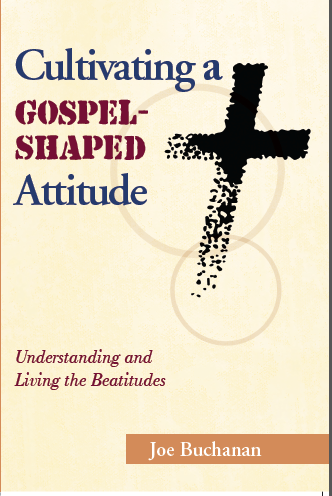 First, I am proud to announce that on May 5th, I will be launching the sale of my new book “Cultivating A Gospel-Shaped Attitude.” Throughout the process of writing and publishing this book, I have been convinced that God is going to use it in a tremendous way. The book is going to be available through several retail outlets but I am encouraging everyone to buy it through Amazon.com. I will send you more information about prices and how to buy the book as the launch date gets close. 1.) Pray – In fact, if you don’t do anything else please pray for this book and offer to be used to touch people’s lives. Throughout the process of writing the book, God spoke to my heart and helped me to grow in my spiritual life. I am certain that it is going to be a blessing to all who read it. But the proceeds from the sale of this book are going to help make an even farther-reaching impact on the people in Haiti. Pray for God to use these funds to spread the gospel, plant churches and change lives in the country of Haiti. A.) Write a review of the book on your blog during the week of May 5th-12th. The review can be positive or negative, but I want you to be honest and fair. In order to make the greatest impact I am asking you to please hold off publishing your review until May 5th. B.) Please share with your readers the link on Amazon where they can buy the book. This is not live yet, but I will send it to you in an email once the book goes live on Amazon. C.) Please include in your review that during the month of May, 100% of the profits from this book will be used to fund missions work in Haiti. If you are a blogger and interested in helping me spread the word about the book please send an email to joe@metrofbc.com and I will send you the PDF files containing the book. Please be sure to include the web address for your blog so that I can verify it. 3.) Help me spread the news– You can start helping me to spread the news right now by simply by sharing this post on your Facebook or Twitter accounts. But then I am going to really need your help is during the week of May 5th-12th. During that week I need you to help me spread the word about the release of this book as far as possible. Please take a moment to follow me on Twitter or friend me on Facebook (https://www.facebook.com/joe.buchanan.73744) so that you will receive updates. During the week of the release I ask that you help me to share the news about this release to all of your friends and followers. This book has been one of the most enjoyable projects in my life and I am hoping that it will be a huge success but more importantly I want it to make an impact on the lostness in Haiti. I hope that you will help. Reblogged this on Fresh Bread.